"Have you had any headaches?" "Are you experiencing any mood swings or violent outbursts?" "Do you take any drugs that endanger your mental status?" Melissa smiled softly as she scribbled down notes onto her clipboard. "Last question for the day, have you been hearing any unexplainable voices in your head?" El smirked, "no, but the day is still young." "I&apos;ll just take that as a no." Melissa gave the teen a knowing look as she stood from the chair and began gathering all her paperwork. "Your next med-check is on Wednesday. Try not to miss it, okay?" El laughed, there was a lot that could happen from now to next week. "Another nurse will be right in to take blood from you while I go update your records. After that, you&apos;re good to go." She nodded and bit her tongue. Of all people why did it have to be Scott McCall&apos;s mother to be her nurse? She was tempted to ask questions she shouldn&apos;t and felt comfortable telling her all the things she should keep to herself. Sometimes El forgot she was supposed to be acting normal for these med checks. 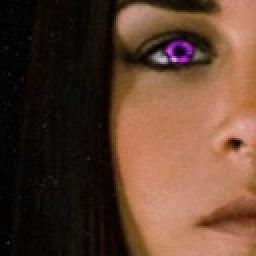 Melissa smiled softly and patted her arm, seeing the expression of deep concentration on her face. "El, you can trust me. I want you to know that. I&apos;m here for you if you ever need it." "Everything seems to be okay for now. I already lost two friends; I&apos;m scared of what comes next." Melissa leaned against the doorway, "sweetie, I know this is difficult for you- for all of you. It&apos;s okay to be scared that&apos;s what makes you human, but you can&apos;t let it overcome what you want in life. You deserve all the happiness this world can offer and it&apos;s up to you to fight for it." El&apos;s eyes trailed to the floor, "What if I&apos;m not strong enough?" "You are powerful and bright. I know Allison and Isaac believe that." The older woman smiled sheepishly, "Scott is doing fine. I know you&apos;ve been meaning to ask."